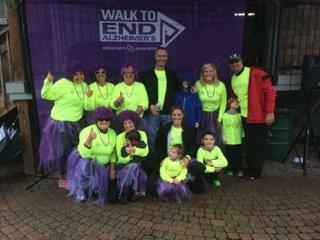 Absolute Homecare & Medical Staffing is proud to partner, support and participate in the Walk To End Alzheimer’s. On September 21, Absolute Homecare group joined the local Alzheimer’s Association Chapter to raise awareness and funds for Alzheimer’s care, support and research. “Many reasons to walk. One goal. Everyone has a reason to end Alzheimer’s”.